I was building a database cluster for one of our customers and part of the HA/DR/Reporting solution for that environment is to set up a Log Shipping to create a copy of databases to a secondary server. Log shipping requires a shared folder through which the transaction log backups are copied and we usually create this into the same cluster group than the SQL Server. I started my usual routine, going to Failover Cluster Manager GUI, picking the role I wanted to add the shared folder into and then I clicked “Add File Share”. A window popped open, like the one below. It remained there for a while and then disappeared, I waited for a moment and then tried it again and the exactly same thing happened. Few reboots and some more attempts later it was obvious that doing this through GUI would not work. It did something though, as I saw this kind of error at the GUI. Couple Internet searches later I found some articles and posts saying that this is something that could happen in Windows and creating shared folders with Powershell should still work. None of these posts actually gave any advice on how to do that exactly, but finding it out wasn’t really that difficult. I knew I was looking for a way to create a share, so I fired up Powershell console and ran the following command. If you ever need to figure out what cmdlet to use, Get-Command is your friend. If you only can remember single cmdlet, make it this one In my case I got the following listing. New-SmbShare looked promising so I checked the cmdlet help, the syntax was rather simple (it does have few more parameters than I’m using, but this was enough for me). The –ScopeName parameter with SmbShare cmdlets is used to specify the server you’re managing. If the name of the shared folder is unique in the cluster, like in the example above, then you don’t need it. So once again Powershell saved the day, also after I figured out the proper cmdlets, creating the actual shared folder and setting permissions was much quicker than doing it through GUI in the first place! And if you need to do it multiple times, like in my example where I had four different cluster groups, it’s even better. When you operate with Windows Failover Cluster resources, such as clustered drives in this case, make sure that you are doing it on the node where they are online. If you try to create the share with the above commands on the node where they are offline, it will not work. How do you have a drive letter (“X:” in the example) for a cluster shared folder? Usually the cluster masks the shared storage drive letters..
I’m not certain what you mean by masking the shared storage drive letters. You can assign letters to volumes in Windows Failover Clusters, and that is how we usually do it in our environments. 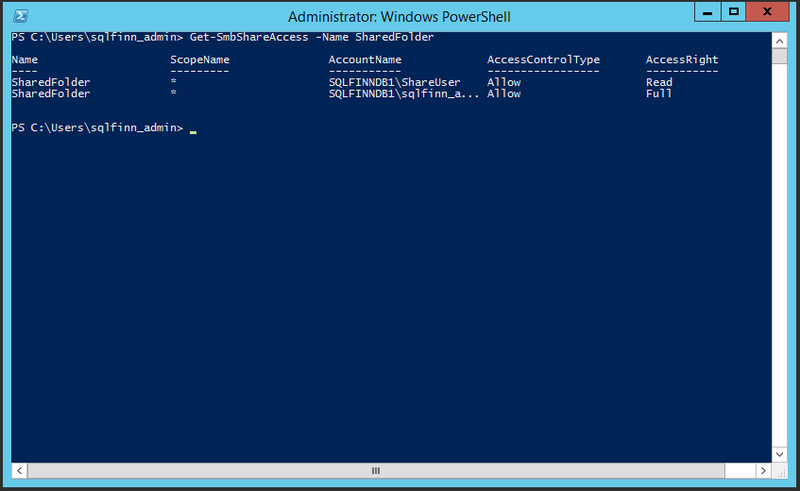 Script is running under admin privileges on a cluster Windows 2012 r2 node. And it worked just fine. Have you tried starting Powershell Console with the “Run as Administrator” -option (right-clicking it the Powershell icon, then selecting that option)? I’m running it with administrator privileges (run as..) and it works only on drives which are not under the failover Clustering service. 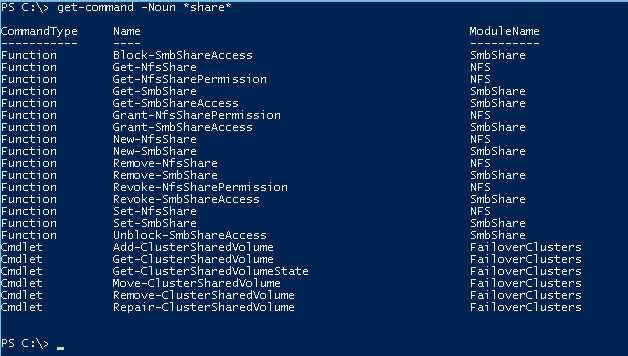 Another thing to say is that you should create ahead the directory you want to configure the share on. In my situation I’m migrating user data folders from simple Windows 2008 shares to a Windows 2012 r2 failover cluster with file sharing role. thank you again, I’ll try to understand better how the cluster manages these shared folders. Thank you for the update, glad you figured it out. That is true, by default resources in Windows Failover Cluster are in shared-nothing model, in which only one node can operate them at any given time. I will update my post based on these comments shortly.